Men, join us on Saturday mornings beginning April 13th from 7:45-9:30am at Grace Fellowship Saratoga. 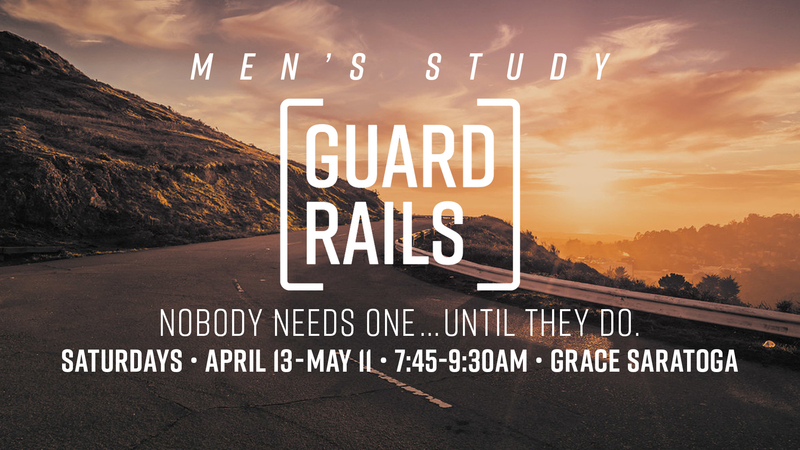 We’ll be going through the study “Guardrails” by Andy Stanley. Guardrails: a system designed to keep vehicles from straying into dangerous or off-limits areas. They’re everywhere but they don’t really get much attention…until somebody hits one. And then, more often than not, it is a lifesaver. All men are welcome to come! No sign ups are required. Donuts & coffee will be provided.